Ed Hemsler (John Lithgow) is a doomsday prepper, convinced that the end of civilization is coming soon and spending his days shopping and preparing for the impending apocalypse. 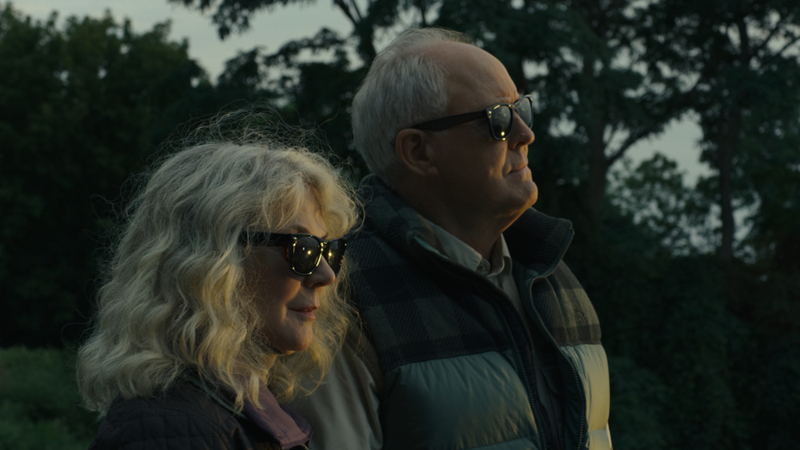 One an otherwise uneventful trip for supplies, Ed meets Ronnie (Blythe Danner), a single woman who soothes her own attachment to uncertainty at the same store. Noble Jones’ THE TOMORROW MAN is the story of two unlikely adults seeking a connection, a late-blooming romance between two dreamers who are looking for love and acceptance while trying not to get lost in each other’s copious belongings.